As we look ahead to a busy twelve months of sport action, one criteria that is necessary for every fan across the country – which bar to watch it in? Leagues such as the Premier League for football, Aviva Premiership for rugby have begun in exciting fashion, while we look ahead to an Ashes series down under and none other than Fifa World Cup to be had next summer, we’re not light of sporting events to come. Every Sports fan needs to prepare for these spectacles, so it’s essential to find the perfect bar in London to watch it all in. HD flat screen TV’s are essential – and a lot of them too. There’s nothing worse than every supporter looking at just one screen – multiple TV screens are necessary! If you’re going to spend your day watching all the action in the bar, comfy seating is needed, a long with a full bar, with lots of food and drinks, burgers and beers are a no brainer! Seems obvious, but fast service is required when watching all the sport. Nobody likes missing a goal or wicket while waiting for your drink at the bar, quick reliable service is needed to satisfy the fans. Enough lighting and clean bathrooms are also other features of what makes a good sports bar, I’m sure nobody would want to spend hours of their day in a dark room. 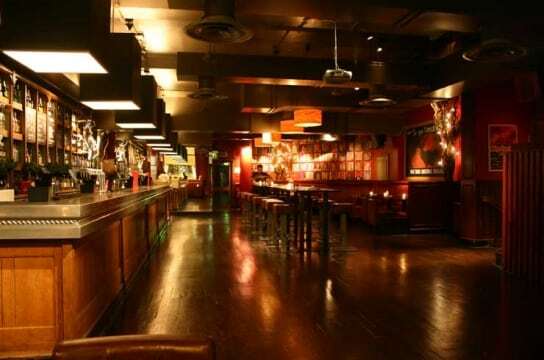 With this criteria in mind, here are a list of the top ten sports bars in London. 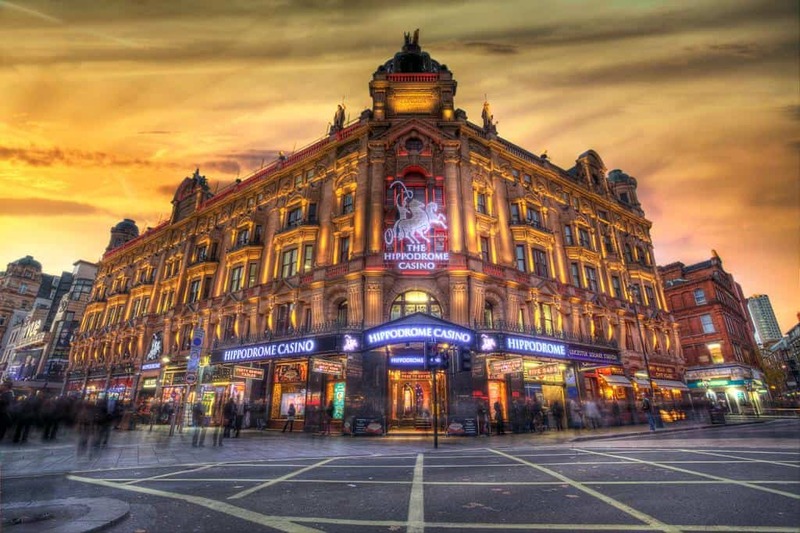 Known as London’s biggest and most popular entertainment venue, not only has many slots and tables to gamble, but also hosts huge sporting events on big screen TV’s. The Hippodrome is known as the home of the NFL, with every game screened live. Open 24 hours, the Hippodrome bar has a very American feel to it when the action is on, particularly for the games that take place at both Wembley, Twickenham, and the incredible Super Bowl. This Canadian themed traditional pub is ideal for Sports across the pond, particularly Ice Hockey. One feature of the pub that attracts many, is their service of a number of famous North American beers including Canadian brews Moose head, and Molson Canadian Ice. 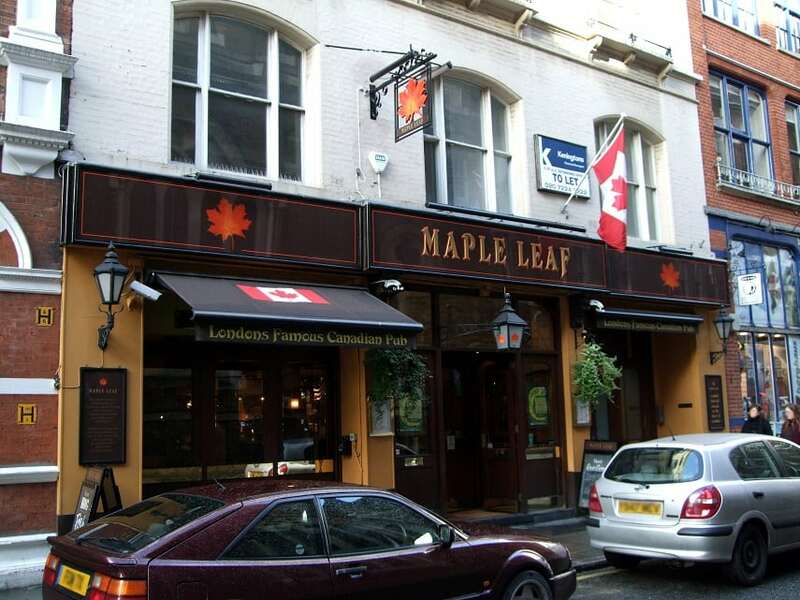 Typically being associated with Canada, the charming, maple leaf covered pub is an excellent attraction to watch North American sport. 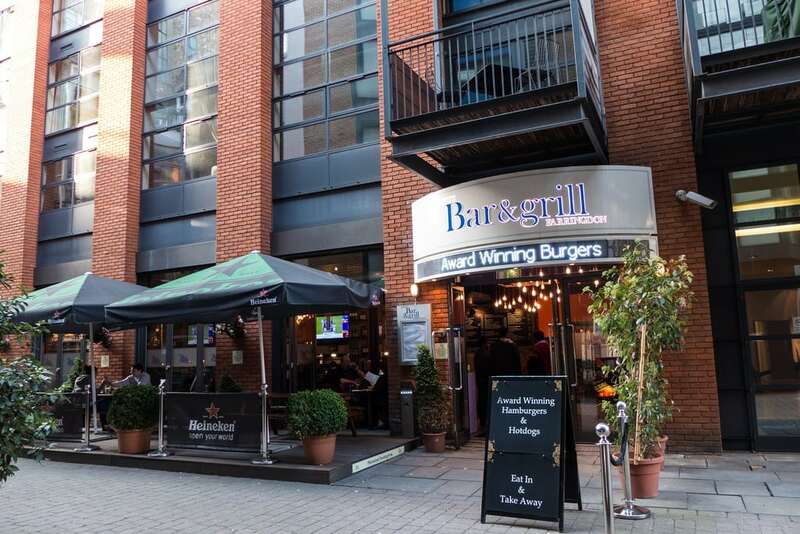 Although Sports Bar & Grill is located around five different locations across London, the Farringdon based bar is widely regarded as the best. 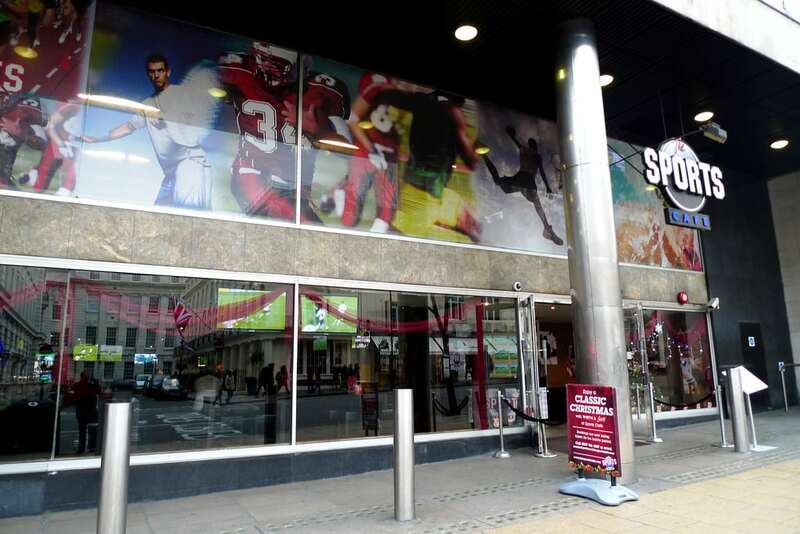 Name any sport, and this bar will show it, rugby, tennis, football, cricket, all shown on large HD TV screens. Quick service with an excellent arrange of food and drink, it’s no surprise why this bar is widely visited to watch sport events. Featuring four different rooms, seven pool tables, a VIP lounge, thirty-four screens and over seventy different channels, Riley’s Sports Bar is the ideal bar to watch sporting events. This venue is capable of show casing eight different fixtures at the same time, whilst you can enjoy playing your pals at pool, or table football. 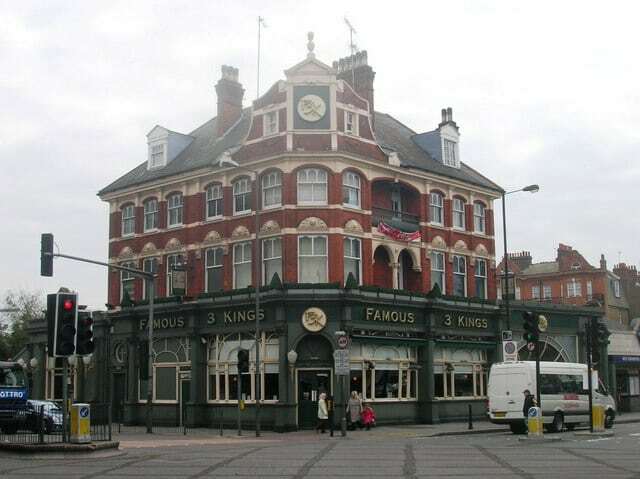 This bar is one of the most lively and enjoyable venues in London, and is perfect to enjoy watching different sports. Carlsberg DO sports bars, although maybe not the best in the world, this bar situated in Leicester square is up there with the best in London. 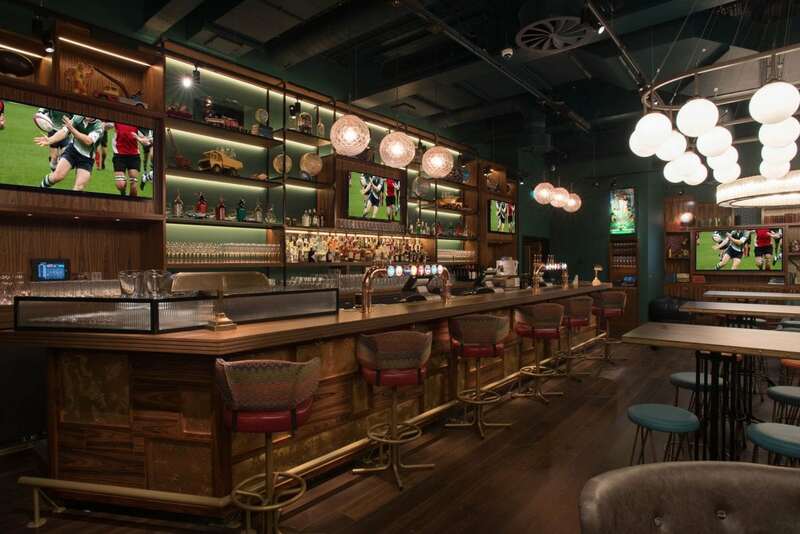 Filled with many TV screens and huge projectors, this bar is regarded as a suitable bar to go with your mates to watch a number of different sports. Open 24 hours, this bar combines enjoyable food with watching the Premier League and Champions League. Newly venue in Victoria London, Greenwood’s main attraction is the food and drink menu, with a range of pizzas, burgers and much more served all day. However with big screen TV’s showcasing major sports including, football, cricket, rugby and tennis, this bar has it all. 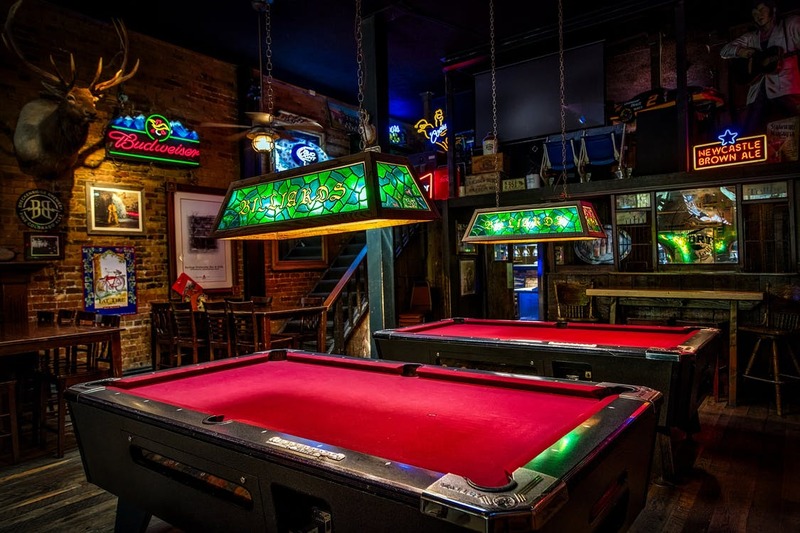 Along with a pool table and two Shuffleboard tables, this bar is not shy of entertainment for you to enjoy. One of the most popular sports bars in West London, this venue also holds a huge beer garden with big screens, HD projector and a 3D plasma screen showing why this bar is so popular. Filled with your most loved drinks, this stylish bar is becoming extremely well known across London. 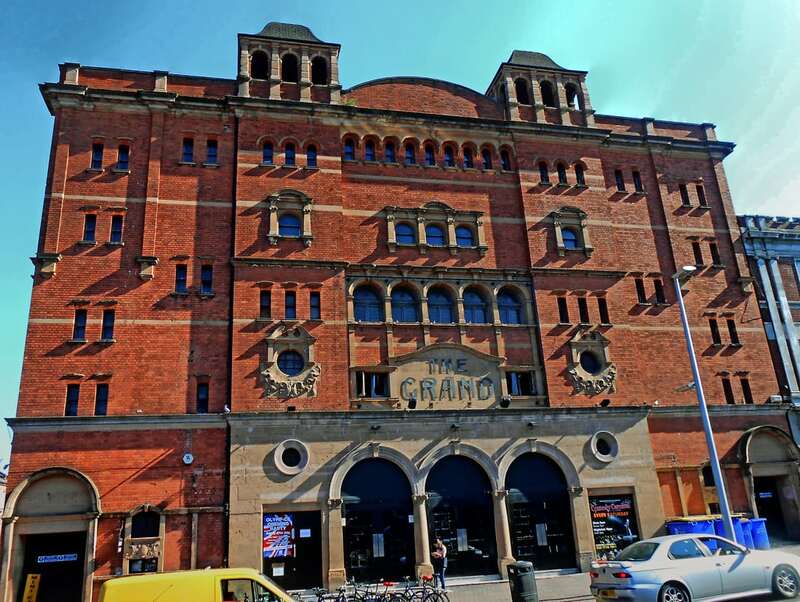 Home to one of the biggest screens in London, The Grand is often filled with fans watching big England football and rugby matches. Set in an old theatre with a huge 24ft wide-screen, along with popcorn and hot dog machines, this venue in Clapham is great if you want to enjoy a lively afternoon of watching sporting action. 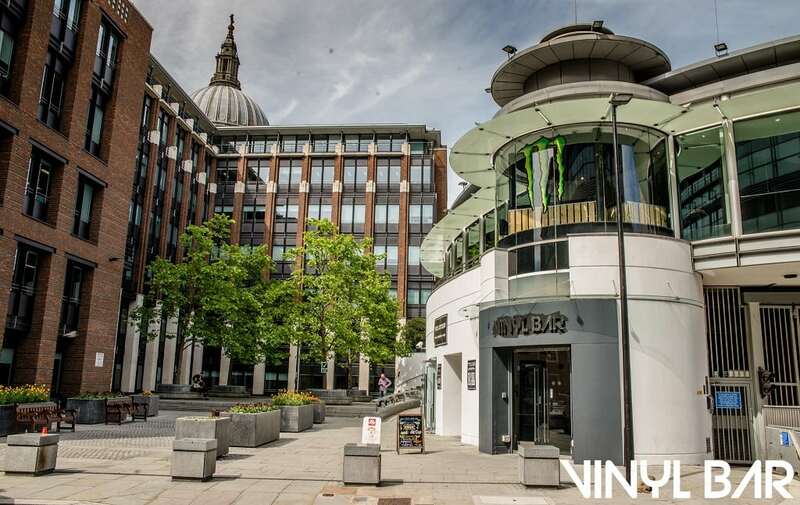 Located right next to St Paul’s cathedral, this bar is a hugely popular bar for after work hours. Sporting action is always showcased here, with a lovely drinks menu of fine cocktails and crafted beer, this venue is one of the most lively in London. If you do fancy visiting this bar, I would go between 17:00-20:00 PM, to take full advantage of their amazing Happy Hour deal. Amazingly popular choice for many sporting fans to go and watch the action. Multiple screens showing all your main sports, football, rugby, cricket, this traditional pub accommodates many different sports and games at the same time, with over 71,000 channels, 25 per cent of the world’s satellite capacity! Adding to the sport, this venue serves up delicious pub styled foods, leading to many visiting this pub on a regular basis. Next PostAre these the best burgers in London?